Jackie Cruz & Geena Davis Bring 'This Changes Everything' to TIFF 2018! Jackie Cruz strikes a pose on the red carpet as she steps out for the premiere of This Changes Everything on Saturday afternoon (September 8) at the 2018 Toronto International Film Festival at the Roy Thomson Hall in Toronto, Canada. 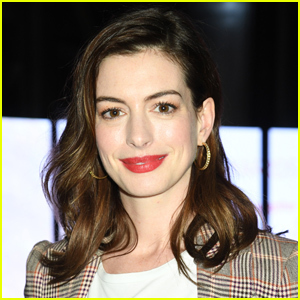 The 32-year-old actress showed off some skin in a black velvet dress as she was joined at the premiere by her co-star Geena Davis. 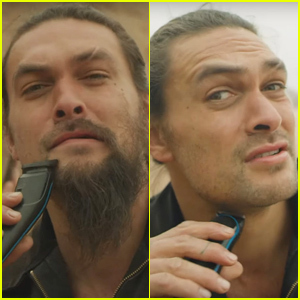 The movie gives an investigative look and analysis of gender disparity in Hollywood, featuring accounts from well-known actors, executives and artists in the Industry. Geena Davis and her husband Reza Jarrahy are splitting after over 16 years of marriage. The longtime couple filed for divorce on Tuesday (May 8), according to documents obtained by TMZ. Geena and Reza reportedly separated last November, citing irreconcilable differences in their marriage. The couple got married back in September of 2001 and share three children – 14-year-old twins Kaiis and Kian and 16-year-old daughter Alizeh. Reza, who filed the documents, is reportedly asking for spousal support and joint legal and physical custody of the children. Geena was previously married three other times. 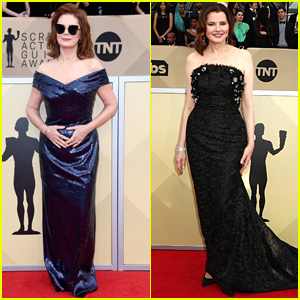 Susan Sarandon & Geena Davis Go Glam for SAG Awards 2018! Susan Sarandon makes a fierce appearance on the red carpet as she arrives at the 2018 Screen Actors Guild Awards at the Shrine Auditorium on Sunday (January 21) in Los Angeles. The 71-year-old Feud: Bette & Joan actress looked super glam in a sparkling navy dress and sunglasses for the awards show. Joining Susan on the red carpet was her Thelma & Louise co-star Geena Davis who stunned in a dramatic black gown for the event. FYI: Susan is wearing an Alberta Feretti dress and Moooi x Gentle Monster sunglasses. Nicole Kidman Steps Out to Honor Agent Kevin Huvane at Artios Awards 2018! Nicole Kidman is all smiles while hitting the stage at the Casting Society Of America’s 2018 Artios Awards held at The Beverly Hilton Hotel on Thursday evening (January 18) in Beverly Hills, Calif. The 50-year-old Big Little Lies star presented her longtime agent Kevin Huvane with the Lynn Stalmaster Award for Career Achievement, recognizing his contributions to the industry. The honor is named after the first casting director in history to win an honorary Academy Award. Also in attendance at the Beverly Hills event were Brittany Snow, host Tig Notaro and her wife Stephanie Allynne, Rachel Bloom, Geena Davis, Amy Landecker and Nia Vardalos. 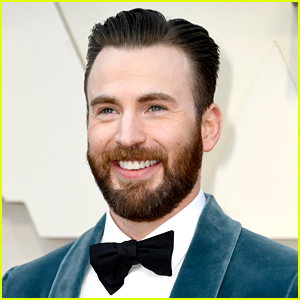 The awards were handed out in simultaneous ceremonies in Los Angeles and New York, where Ansel Elgort, Luke Wilson and more attended. FYI: Nicole is wearing an Erdem dress. Brittany is wearing a Cinq à Sept dress. Susan Sarandon & Geena Davis Have 'Thelma & Louise' Reunion at Golden Globes 2018! Geena Davis and Susan Sarandon brought back Thelma & Louise at the 2018 Golden Globe Awards! The 61-year-old The Exorcist actress and the 71-year-old Feud star took the stage at the event held at the Beverly Hilton Hotel on Sunday (January 7) in Beverly Hills, Calif. They co-stars of 1991′s Thelma & Louise presented the award for Best Actor in a Motion Picture – Drama to Gary Oldman for Darkest Hour. Susan was also nominated for Best Actress in a Miniseries or Television Film for her work in Feud: Bette and Joan as Bette Davis. Today I will wear black in solidarity and gratitude with all women in all industries, acknowledging our mutual power and vulnerability. #TimesUp on silence, on imbalance of power, on inaction. FYI: Susan is wearing Saint Laurent. Geena is wearing a Monique Lhuillier dress. Also pictured inside: Activist Rosa Clemente. Connie Britton shared an important message while at the 2018 Golden Globes! The 50-year-old actress hit the red carpet in a sweater reading “poverty is sexist” ahead of the award ceremony held at the Beverly Hilton Hotel on Sunday (January 7) in Beverly Hills, Calif.
Connie‘s sweater is a nod to Bono‘s ONE Campaign movement, which seeks to level the playing field for women and men in economically disadvantaged communities. She was also joined at the event by Maggie Gyllenhaal, Isabelle Huppert, Geena Davis and Abbie Cornish, who all wore black to take part in the Time’s Up movement. Tune in for the Golden Globes on Sunday (January 7), hosted by Seth Meyers, at 8pm EST/5pm PST on NBC. FYI: Connie is wearing a Max Mara skirt, a Lingua Franca sweater, Graziela jewels, a Rona Pfeiffer ring, Jimmy Choo shoes and carrying a Tyler Ellis clutch. Isabelle is wearing a Chloé gown and Chopard jewelry. Geena is wearing a Monique Lhuillier dress. Abbie is wearing a Moschino dress and Schutz shoes. Maggie is wearing Monse.